Can you donate any unwanted items? Did you know that people don’t wear about 30% of the clothes in their wardrobe? So why not donate them to us and help us to raise the vital funds for the animals in our care? 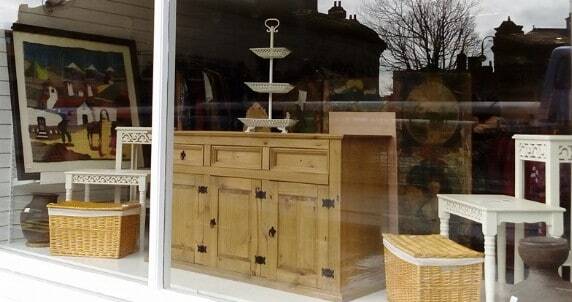 We accept unwanted women’s, men’s and children’s clothes, shoes, handbags, toys, games, books, music and bric-a-brac. You can also donate Furniture, linen, house-hold goods and electrical items. We are always on the look-out for donations of good quality small pieces of furniture and electrical items. Give our Wakefield Shop a ring on (01924) 368306. We have a fantastic van team that will collect your donations at a time that is convenient to you. Please be aware that there are some items that we are unable to accept due to Safety regulations, but please ask for advice about your donated goods when you call. We are currently in need of donations for our charity shops to help raise vital funds for the animals in our centre, can you help? We have a van team who can collect donations from you at your convenience, free of charge. We can also do house clearances free of charge so please get in touch with us by calling (01924) 368306 for more information/to arrange for our team to come and collect your items. Have you seen our Leeds, Wakefield & District Branch Ebay Shop?